The Moseley Rubber Company has been synonymous with the British Rubber Industry for over 150 years. Today, The Moseley Rubber Company is a wholly owned subsidiary of H&M Roller Technologies (Pty) Ltd − the largest rubber roll covering manufacturer in Africa − part of a multi-million pound group of Hi-Tech rubber companies each of which is a specialist in its own field of Polymer Technology. 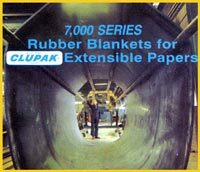 Moseley Rubber specialises in Rubber Blankets for the production of extensible "Clupak" papers, and also manufacture punched and grooved rubber sleeves for Flovac suction units as previously manufactured by Parex Mather / Beloit Corporation. The Moseley Rubber Company maintains a policy of joint and on−going development of products and services in order to offer our customers the benefits of the very latest advances that polymer technology has to offer. As part of an international group of rubber companies, Moseley not only have the technical back up necessary to produce high quality roll products, but also utilise modern high tech equipment to achieve first class results. Our modern, purpose built manufacturing unit is now based in Pietermaritzburg, South Africa, complete with mill room for material production and fully equipped laboratory for quality control, material testing and product development. Our sales office has been retained in Manchester, England, in order to maintain continuity with our customers world−wide. The capacity of The Moseley Rubber Co.(PTY)Ltd has increased significantly with the installation of two of the largest extruder builders in the rubber industry, multiple blanket building stations , and various mandrels available to produce 5', 6' and 8' diameter blankets up to 9.6m long. This will not only reduce the lead times for blankets , but also provide the additional capacity to produce more blankets when necessary. The factory is also able to produce the punched and grooved vacuum sleeves supplied for the "Flo−Vac" vacuum water removal units that are still in operation in various locations around the globe. 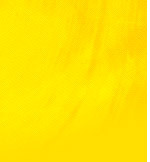 With an international reputation built on the supply of quality Rubber Blankets, The Moseley Rubber Co.(Pty) Ltd. continues to supply its products to North & South America, Europe, Scandinavia, Africa, Asia and the Far East.